Established in 1999, OneSuite is a pioneer of prepaid integrated telecom services. Our mission is to give users the greatest telecommunications convenience at the lowest price. Powered by cost-saving cloud technologies, a global telecom network, and aided by our dedicated staff, OneSuite is proud to bring our customers quality service at wallet-happy rates. Pay-as-you-go, it seems straightforward, but OneSuite was one of the first to introduce pay-as-you-go billing after opening an account with a prepaid balance. When usage (making calls or sending faxes) occurs, it gets deducted from your account balance. This way, your telecom service works in your favor, and you never pay extra for minutes or pages you don’t use. At OneSuite, you’ll only need to pay for what you use, then recharge when your account balance is low. Get the lowest total cost, a streamlined telecom account, easy access and easy budget management. 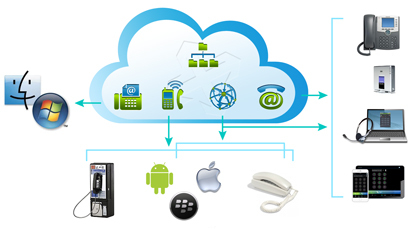 Our suite of products works across multiple platforms and is compatible with various wireless or wired phone types, smart or traditional, IP-enabled phones or computers, providing our users global coverage at anytime, on phone or computer. OneSuite's facilities, technical support, customer service, call quality, resources and infrastructure are all certified under ISO 9001:2008. Low rates and minimal cost makes OneSuite the ideal small-to-medium business telecom solution, while the flexibility and mobility of our product lineup lets us grow and expand with your organization. 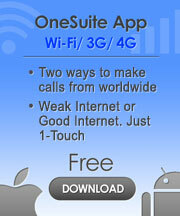 With all the products and features OneSuite puts at your fingertips, you might have a few questions. No worries, just use our blog Perk Up! as your OneSuite knowledge center, and visit us often for user tips, product updates and more.